Meek Mill has hit out at top defence attorney Christopher Darden for agreeing to take on rapper Nipsey Hussle's murder suspect as a client. Darden, who was part of the prosecution team that tried to put O.J. Simpson away for murder in the mid-1990s, represented Eric Holder in court in Los Angeles on Thursday (04Apr19), when the 29 year old pleaded not guilty to four charges, including one count of murder and two of attempted murder. Holder was arrested on Tuesday, two days after Hussle was gunned down outside his clothing store in Crenshaw, Los Angeles. He was rushed to a nearby hospital, but was subsequently pronounced dead. Two other men were also injured in the shooting. 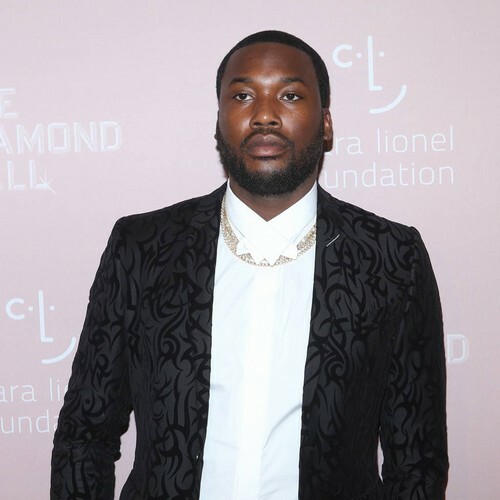 Darden has yet to explain why he has chosen to defend Holder, simply telling reporters on Thursday it was "an important case," but his decision has prompted Hussle's friend and fellow hip-hop star Meek Mill to lash out at him online. Commenting on a news story of Darden's involvement in Holder's case, Meek tweeted, "As self hate continues in the black community," before using a racial slur in an accompanying hashtag. The Dreams and Nightmares hitmaker, who has been spearheading a campaign for criminal justice reform, later added, "We at war with the system and the streets (sic)!!! #forevernip". Meek has been among the many celebrities openly mourning Hussle's untimely death online. Shortly after the news of his passing hit headlines, Meek took to Instagram to share a photo of his old friend, and captioned it, "Almost drowned myself in tears for you my n**ga!!!!" "Bothers my soul because nip was flawless!" he added beside another picture of the two artists. "S**t is unbelievable man... he deserves a million man march or something.. things just can’t go back to normal after this lost (sic)!" Holder faces life in prison if convicted of the crimes.